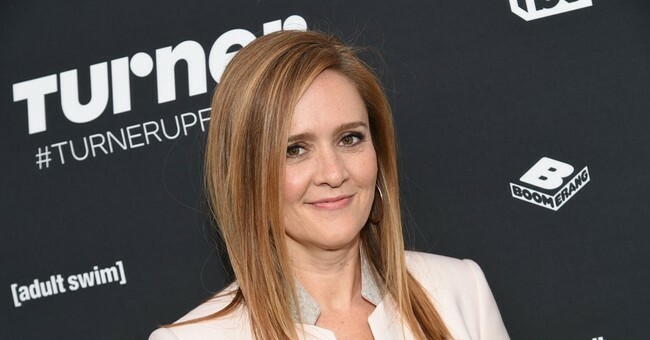 Samantha Bee, host of the TBS show Full Frontal, made jokes on Wednesday about all the Democratic presidential candidates for 2020. She suggested that they’ll probably lose to “toilet monster” President Donald Trump. “There you have it,” she said at the end of her summary. “16 candidates. 15 will lose while one, let’s be perfectly honest, will also probably lose and we’ll be stuck with this toilet monster for another four years.” An image of Trump appeared on the screen behind her. While discussing the candidates, Bee went over her thoughts on Gov. Jay Inslee (D-WA) and his campaign’s focus on defeating climate change. Inslee launched his campaign early in March. He released a video on Twitter stating that our generation is the first to feel climate change’s effects and is the last that can put an end to it. Inslee took to Twitter again Thursday, posting a clip from Bee’s program and linking to his campaign website. “All I heard was ‘our only hope for the survival of humanity is a presidential victory for Jay Inslee,’” Inslee wrote. The Washington state governor was able to raise more than $1 million in the first few days of his campaign, which the Associated Press said is, "a notable haul for a governor who starts his campaign less widely known than many of his competitors in a field dominated by senators." But it's chump change compared to the amount of money former Rep. Robert "Beto" O'Rourke (D-TX) and Sen. Bernie Sanders (I-VT) made in the first 24 hours. Plus, Inslee only has one percent of the primary polls. Still, the race has only just started for the governor and all the other Democrats ahead of him.